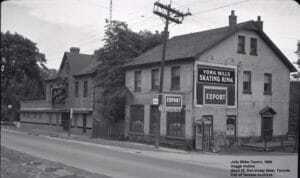 Originally known as the York Mills Hotel – the Miller Tavern dates back to the 1860’s. 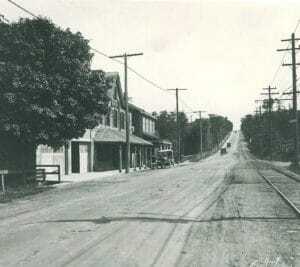 Used as a resting spot for horses and carriages on their journey through Hogg’s Hollow – the York Mills Hotel played host to many weary travellers looking to relax over a pint or two. 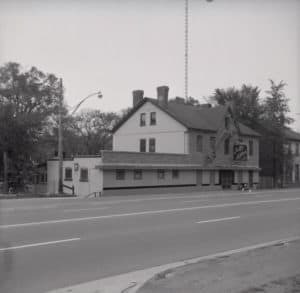 After changing hands throughout the years, and renamed The Jolly Miller (after the ‘happy’ owner of the local Mill) this site has been known through the ages for its checkered past – from gambling raids to late night parties – everyone has a fond story about the “Jolly Miller”. 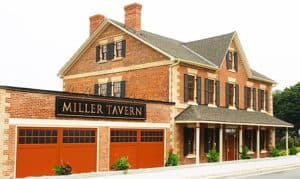 The Miller Tavern has been a sponsor for several years of the Raffle at the Neighbours’ Night Out, raising funds to support the work of the South Armour Heights Residents’ Association, providing a lovely prize of Dinner for Two at The Miller. Thank you for your support!